The software is ideally suited to medium to large organisations across most industries including Commercial and Retail, Manufacturing, Financial, Tertiary Education, Equipment Leasing and Health. FMIS software is offers monthly subscription or full purchase options. 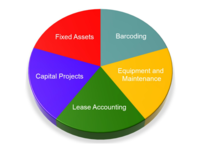 Depreciate, track & maintain fixed assets within one solution. The system is ideal for medium to large organizations in any industry. FMIS Fixed Assets is a powerful yet easy to use fixed asset accounting & tracking solution with the flexibility to handle complex requirements. Calculate and forecast depreciation easily for single or multiple companies and track assets from acquisition to disposal while ensuring compliance with IFRS, local GAAP and all relevant accounting standards. FMIS Asset Management Reviews Recently Reviewed! Pros: The order processing and goods receipting is easy to use for the non financial staff. The Fixed Asset management system deals with our extensive assets and the support from FMIS when implementing the software, some bespoke was excellent. Cons: The system does not deal with incorrect stock purchases very well. It is easy for stock buyers to make errors on the purchase orders and goods receipting which if not spotted in time require several steps to correct. Overall: Our invoice processing time has been cut considerably and we now have an asset register that we have confidence in. Thank you for taking the time to review FMIS. I'm glad the software is saving you time on invoices and goods receipt. Correcting stock purchases can be a hassle, but I know the team had a couple of ideas that might help if you would like to call in and have a chat with them. Comments: I used to use a third party fixed asset module from Normin, since I found this software, my internal customers have asked where has this been all there lives. This is truly asset management with a lot of extras, or maybe I never knew what fixed asset management was until this software. Pros: Complete tracking of all assets from purchase to disposal and at multiple locations. I can break it down to branches and still roll it up as a whole. Reporting is fabulous and its graphical Easier management of maintenance of equipment (e.g. H VAC, Copy Stations etc) and keep track of ROI and schedules. Cons: Everything is in a different module and the complete package can get pricey. Cons: Searching for entries is a pain and often has to be exported because findings are too large. Overall: I keep an external record of logged info because the program takes to long to run a search. Thanks for the feedback. The system is design to run with high volumes of equipment, so the search speed should not be an issue. If you would like to get in touch with us at support@fmis.co.uk, we will be glad to look at this for you. Pros: I find it easy to use and most of all - I like the way you can pull reports by different criteria. 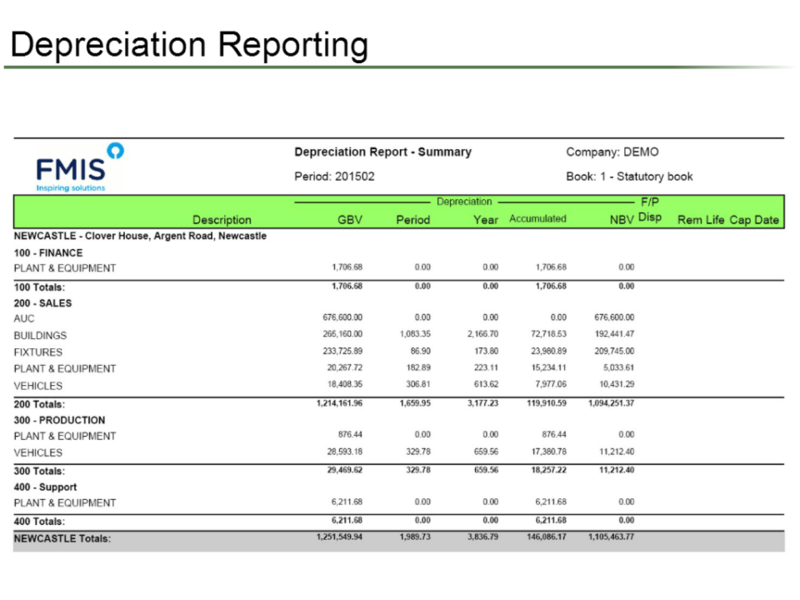 Also the way the depreciation and disposals are calculated - very reliable. 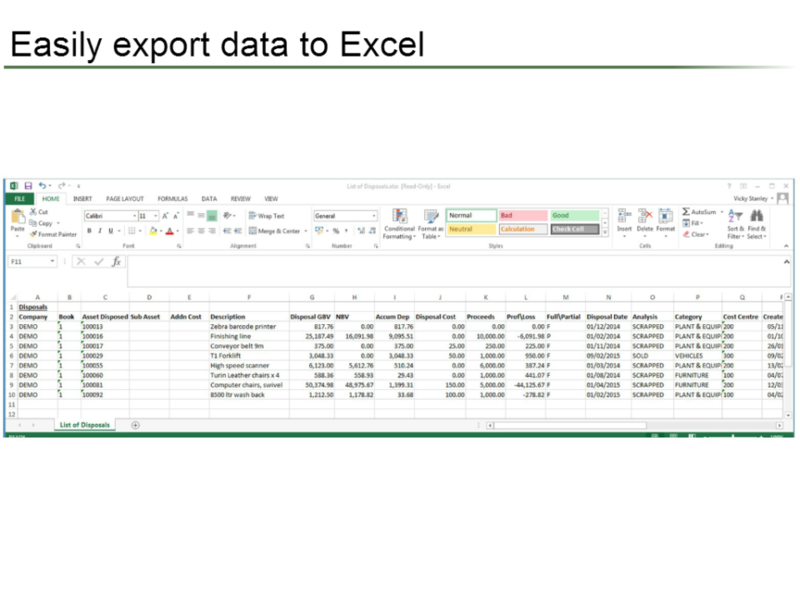 Cons: Currently we have to upload the additions by excel. It is quite time consuming but hopefully we will be able to have an interface between our accounts package and FMIS. This should resolve this issue. Hi Jennifer, thanks for the great feedback and I'm glad you are getting on well with the system. If you would like to get in contact with the support team, we would be very happy to look at ways we can streamline the uploads. Cons: Would prefer more filter options on running the standard reports. Maybe the option to select what fields are displayed on the standard reports. Thank you for taking the time to review the software and I am glad it is working well for you. Customer Service is very important to us, so your feedback there is especially appreciated. There are a few different options we can look at to enhance the reporting for you. Can I suggest you give the support team a call and we can discuss them? 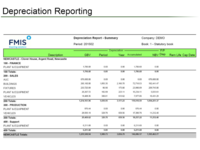 Pros: So easy to use, a small piece of software the manages depreciation on our assets superbly. Customer support is very good! cant be beaten on value for money. Hi James, Thank you for the great feedback. We are always looking for good ideas to add to the product, so please get in touch with us to let us know what you would like to see. 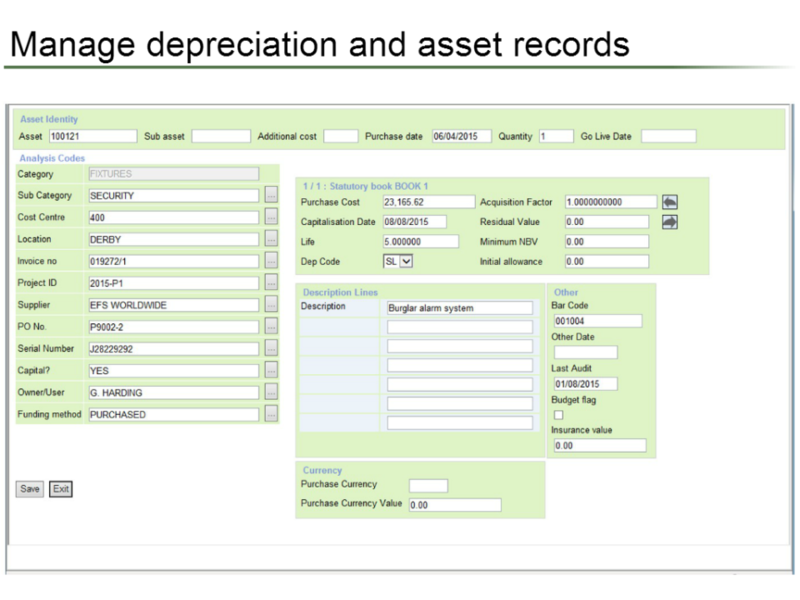 Pros: Pretty easy to use software for tracking our fixed assets, depreciation schedules, etc. You have to recognize that there will be some time you'll need to invest in doing the initial software setups correctly but everything worked as expected after doing so. Cons: The reports are good but have some concerns of minor annoyance. Uploading data requires adherence to very specific field data definitions. Reports had some limitations regarding what could be reported by period vs. end of fiscal year, etc. 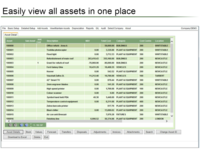 Overall: Overall easy to use to track fixed assets, forecast depreciation schedules, etc. Comments: We implemented the system in June 2016 and received quick response during and after implementation. The system itself is intuitive and user friendly with minimal training. As a user, I am most impressed with the reports that can be generated (standard reports) which we found lacking in the previous system we had. 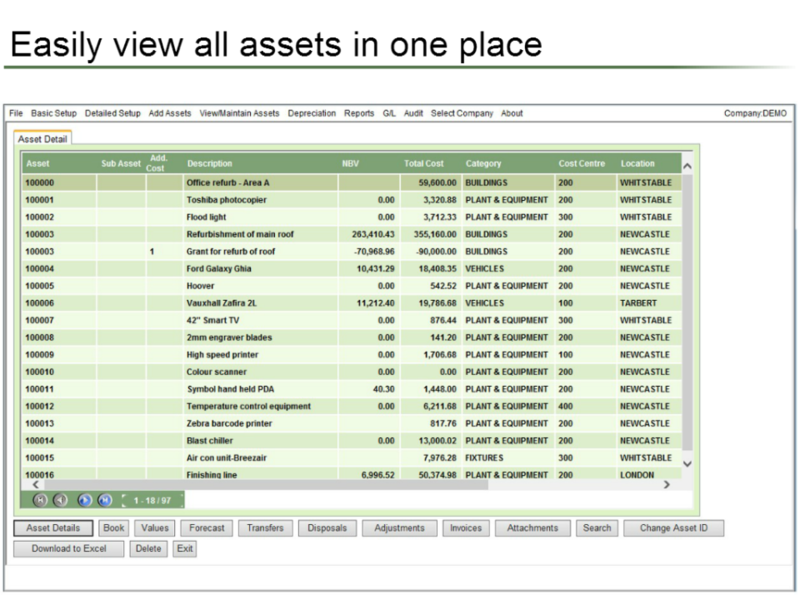 There are also plenty of asset data fields to incorporate additional asset information e.g. Serial number, make, model etc which we find useful to track assets for physical verification. Depreciation forecasting is currently only done in periods so we will need to explore annual forecasting as a separate setup. The upload of asset data has to meet specific formats and number of character, decimal lengths so this is the only minor drawback we found with the system. Otherwise, a pretty sound, basic all round stand alone asset system which meets our organisation requirements. Comments: This software is relatively easy to use. All the essential functions that I need to carry out to maintain a fixed asset register are there. Customer service is very good, with fast response time. While there is a number of different reports in the system to use, I think there is space to improve, such as drill down facilities on reports to see the breakdown of a subhead. 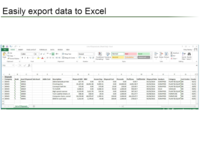 I appreciate that I could run a full excel download to see the breakdown, however, it could be time consuming to sum up all the subheads and reconcile them to the depreciation reports, for example. Thanks for the feedback Kevin. I'm glad to hear your experience with the support team has been so positive. Summary reports can be run at a detailed asset level, so I'll ask the team to get in touch with you shortly to look at what you need them to do. We are a group of Museums, subject to government account rules. Our experience with AI: very good. manual could perhaps be clearer as regards revaluing, tranfrerring or splitting assets. Dont skimp on set up time. Allow time for setting up general ledger posting as well as the asset regiseter itself. 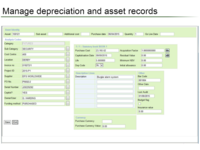 We mainly use the software for a depreciation calculation, which is quick and easy to use. Comments: We probably only use about 20% of this software/systems capabilities. Through no fault of FMIS we never really implemented the software correctly in the first place , this was down to our own internal resource at the time of implementation. To be able to fully utilise this system we would need to re-design the formatting of the fixed assets and the way they have been entered into the system in the past . Thanks for the feedback Tim. The system does have a lot of additional functionality and we would love to help you get the most out of it. Internal resource is always a challenge, but talking with the consultants, I think they have a few ideas to discuss with you. We will be in touch very shortly. Comments: FMIS customer service is excellent. Our version was initially adapted for our need to track customer-owned materials that our company holds. As our business developed and diversified, FMIS worked with us to improve speed and functionality for managing large quantities of items and to expand invoicing capabilities. Users in our organization are very pleased by the creativity and responsiveness of the FMIS team in helping them meet new challenges. The FMIS system has been one of the most user friendly systems I have ever used. Comments: I have found the system quite easy to navigate around and once you have had a chance to play around with it, it is quite logical and systematic. The customer service has been very good, all requests for help/any queries have been dealt with promptly and our client contact has always been willing to help. The turnaround on the initial data conversions/set up have been quick. Comments: Love that this software does all of my inventory management. Also love that when I need something special, FMIS works with us until it is delivered. We also have to sync with our Corporate software (run by a sister company), and FMIS does this nicely (with Vision)...keep up the GREAT WORK team...can't wait to see what is coming NEXT! I have used FMIS Asset Management for the past 5 years. Comments: FMIS Asset Management system is an excellent software. It has rich and easy to use functionalities. Its integration with bar coding module allows easier asset tracking and auditing. Technical support I received from FMIS is excellent and timely. We started using the softwrae 2 years ago the product met all our needs. Comments: Installation was experly done and the support has bene some the finest I have come across from a software compamy. Comments: A reasonably straightforward package to use!